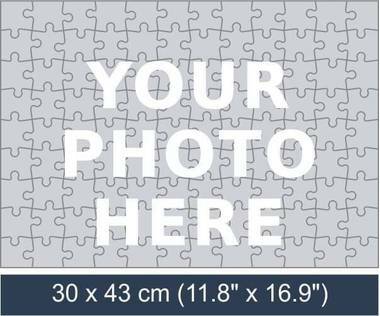 Create your own 108 piece jigsaw puzzle! 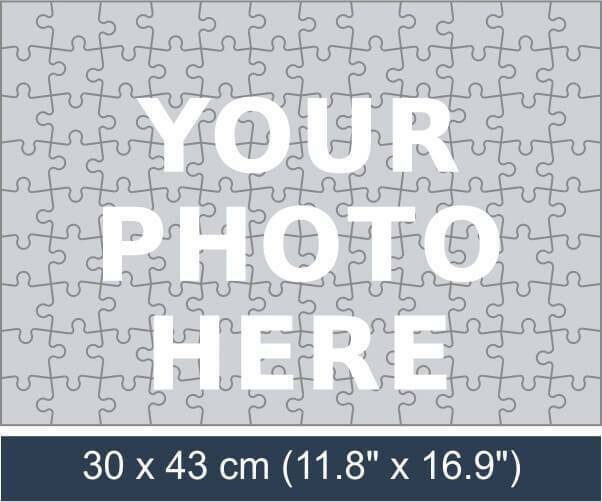 To create a 108 piece jigsaw puzzle you need to simply upload your photo and place an order! 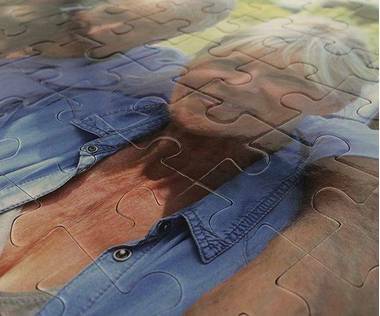 108 piece jigsaw is quite large jigsaw but in the same time it has middle size puzzle pieces. This jigsaw will grab your attention for an hour or so! Great as a photo gift for any occasion! 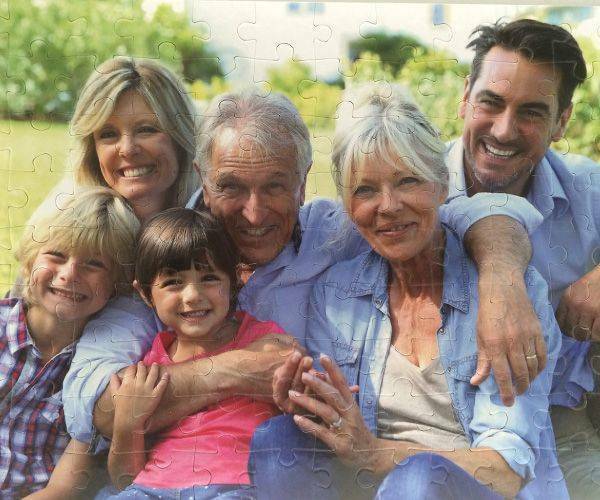 Measuring 30 cm x 43 cm this 108 piece personalised jigsaw will keep many a bored child quiet over the long summer holidays. With a picture they have been able to select – or one that has been chosen for them but still having a connection to them – they will be interested in finding out what the finished product is like. They will be intrigued to see the picture on the box and even more intrigued when they start to make up the picture. The pieces are very well made and there will not be the need to alter them to make sure that they fit. The cardboard used has been specially selected for the job. They are easy to drop into place and as they are 2mm thick, they can be handled many times without showing any sign of wear or tear. By the time the 108 piece jigsaw is completed for the 10th time it will look as good as the day it was taken out of the box. The box has exactly the same picture that appears on the jigsaw. The colours are bright and will not fade. Ordering is easy and you can have as much help as you need. Uploading the picture will not take long and once it is slotted into place you can decide what is going to appear on the message. As if the picture did not make it perfect as a personal gift, this makes it even better. If a number of the same pictures are being made there will be a discount added to the account. It will mean the message being the same and if this is not appropriate then it will be best to miss the message out altogether. When there are siblings in a family it will be ideal to buy them every couple of years so you can see the growth of the children. 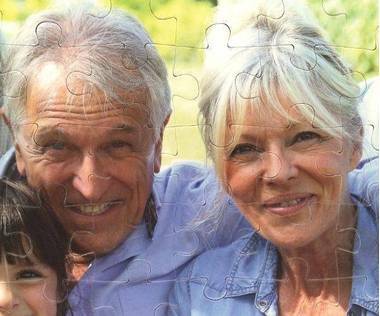 As the years go by the children could get to a stage where they are buying photo puzzles for their own children. By buying a 108 piece personalised jigsaw, you could be starting a tradition that could run and run. The puzzle looked awesome and my grandaughter loved her photos. The only part was not being able to contact anyone about the delivery as when it was delivered i was not home and and actually did not find it until 3 days later but tried to contact you in the meantime. The delivery was exceptionally quick and the product was to expected quality. No issues. I am very satisfied with my purchase. The entire process from design to delivery was very straightforward. Actually fun. My granddaughter enjoyed this gift. It was a wonderful surprise for her. Thanks. Well made..beautiful finish. Highly recommend. Amazing quality of the print and quick delivery. Will use again and highly recommend. 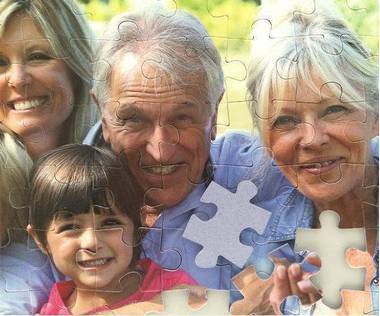 These puzzles are beautiful, making great gifts I will most certainly order again. Everything worked and the puzzle was exactly as I excepted. Already recommended it for two friends. Quality is great and processing and shipping was very fast. Excellent experience even though I am not tech-savvy. I am very happy with this product. 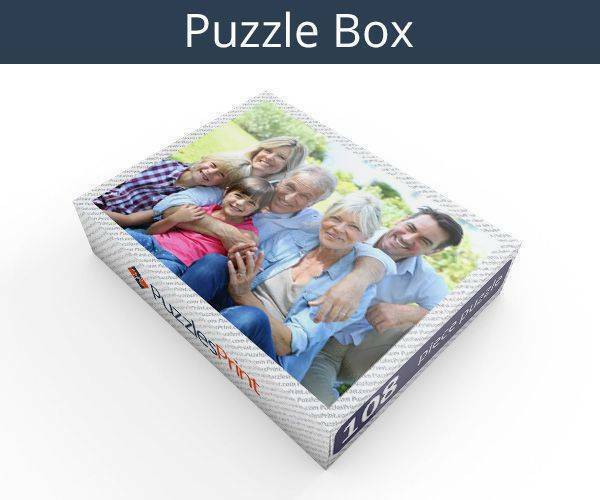 Awesome I have never had a photo made into a puzzle before so I just took a chance on Puzzles Print and I'm so glad I did I highly recommend them for turning your great photos into fun puzzles I will be using them again in the future. Really happy with the product. Very nice quality and the grandkids loved them. Great communication and quick delivery.